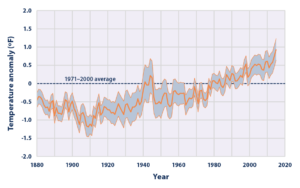 Trend Analysis is a technique used to estimate and predict future climate. The return of the Greek Gods of Sky and Weather, Theoi Meteoroi, have spawned Cyclone Debbie, a category 5 storm which crossed the Queensland coast in March 2017. Considered in isolation, this was no more than an aberrant destructive event, however, considered as an emerging sequence of devastating cyclones, it raises serious implications for stable long term economic development. A review of significant cyclones in north-east Queensland is instructive. 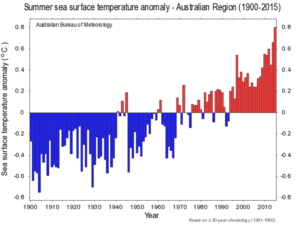 Over the past thirty four years two patterns of damaging cyclones are discernible. The Table summarises destructive cyclones since 1986, that is, seventeen years either side of 2000 AD. 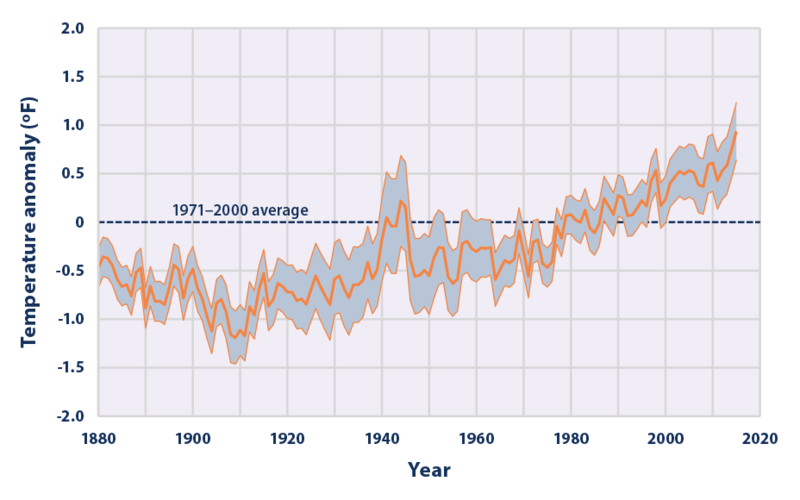 Summarising, in the seventeen years prior to 2000 there were four significant cyclones; in the following seventeen years to 2017 there were five devastating cyclones. 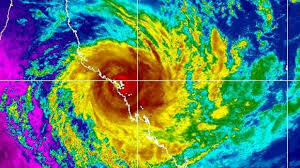 In the past four years Queensland has been lashed by three cyclones. 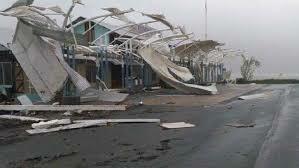 Estimated damage costs to the public and private sector over this period exceeds $5 billion. The cost to the national economy will have an adverse ripple effect although the reconstruction of thousands of buildings and infrastructure will produce a spike in the local economy. This is unfortunately ‘dead’ money that cannot be used to produce export oriented income. Agriculture and tourism projects will be destroyed, some permanently. 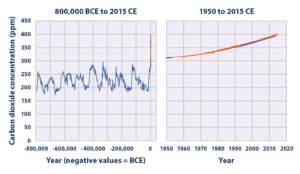 Homo sapiens has created its own unique, but probably damned, geological era – the Anthropecene. 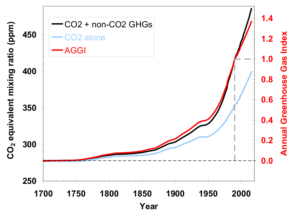 The International Panel on Climate Change (IPCC) has warned that, if this species does not drastically reduce greenhouse gas emissions from fossil fuels, it will take around fifty years to stabilise the emerging climate. 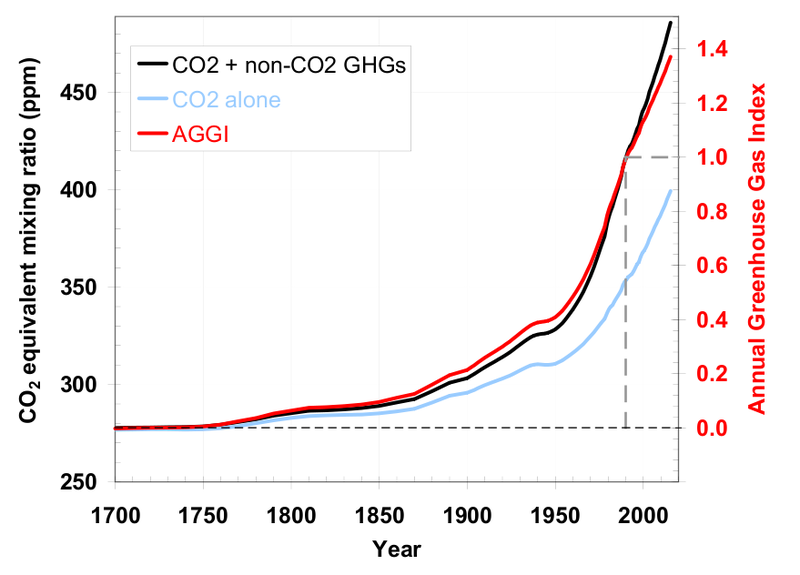 Irrespective, global temperatures will still rise by an estimated 0.6°C thus aggregating to about a 1.3°C increase. 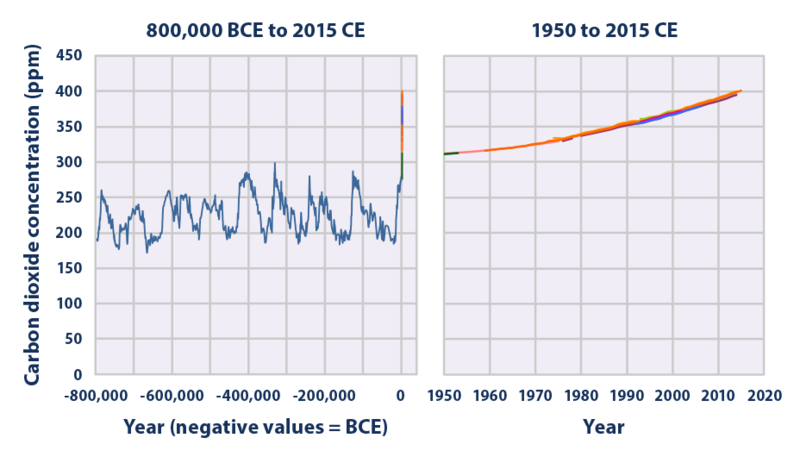 This is approaching the catastrophic 2°C level. Oh God, save us, for we have sinned. TIMELINES & FAULTLINES chronicles the saga of a mining geologist, John Hill. His life has spanned the turbulent 20th Century and into the early fraught decades of the 21st Century; from the rise and fall of militant Nazi fascism to the rise of militant Islam. He lives in non-retirement in New South Wales. 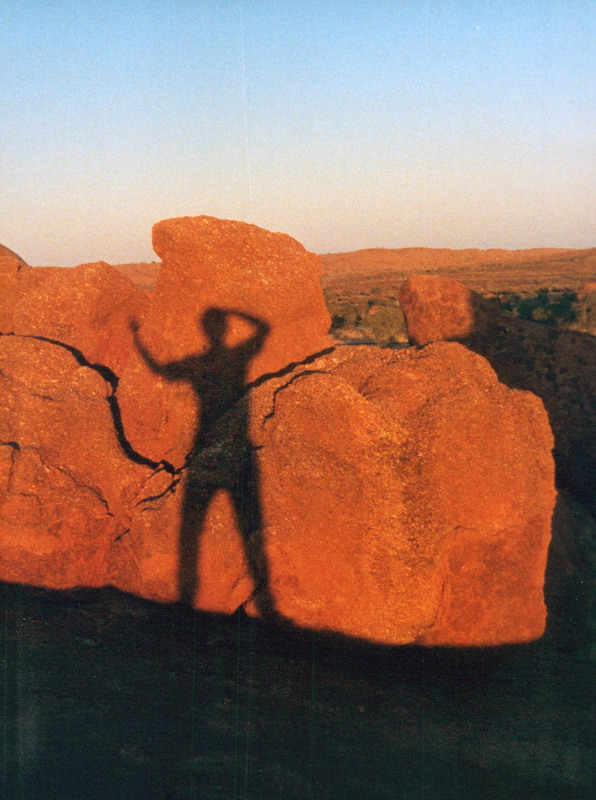 TANAMI DESERT, CENTRAL AUSTRALIA. SUNSET IN GOLD MINING COUNTRY. During the 1990s, John Hill experienced the implosion of a decayed Soviet Union and the rise of cowboy capitalism in a flawed Russian Federation riven by obscene wealth and death in winter snowdrifts. 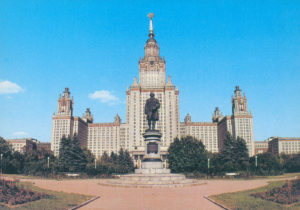 The Moscow State University dominates the Moscow skyline. It was built by German prisoners of war under the whiphand of Joseph Stalin (Iosif Vissarionovich Dzhugashvili). It was here, while lecturing in mining economics, that I joined in vodka and black caviar sessions and virulent political discussions. 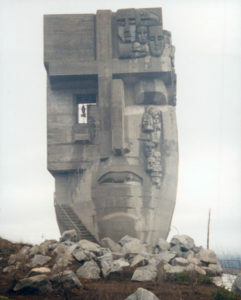 The ‘Mask of Sorrow’ overlooks the port of Magadan on the Sea of Okhotsk. Through this port passed thousands of political prisoners on their way to terrible deaths on the Kolyma goldfields. Hundreds of kilometres north of Magadan I worked in freezing conditions and experienced the Russian banya (Turkish baths), flagellation with branches, vodka toasts and more violent political discussion. This fascinating book is published by Austin Macauley, London, and is available now from Amazon and major book shops.